Radiant Darjeeling Tea. Richly floral with an exotic sweetness. Often found high in the foothills of the Himalayas. Vibrant spring buds grown on the steepest slopes among mountain mists. Luminous with jasmine. Cool with freesia. Enticing with an apricot note of Indian davana. A heady, sublime rare tea infusion. We imagined the very first buds of spring arriving in a fresh and luminous atmosphere in the foothills of the Himalayas. The tea is infused for 45 hours. When you harvest the first flush, the concentration of fragrance in the leaves is not that strong. For this reason, we chose to infuse our tea for a little longer than others. After 45 hours of infusion, the fragrance had a wonderful white floral character. 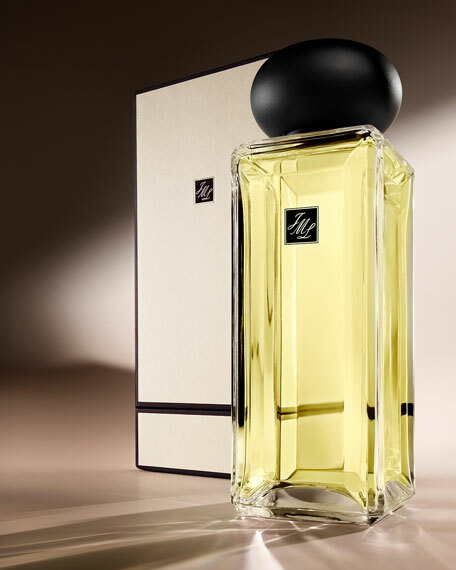 We chose jasmine absolute for its radiant white floral note. Freesia, for its floral zesty sparkling facet. And davana, for its floral and its fruity apricot note. Davana is an Indian herb that isn't commonly used in perfumery, it's known for its unique fruity scent. For in-store inquiries, use sku #1813134.